One of the tips I gave away at MozCon was to use a Google custom search engine (CSE) to dig through your competitors links and find easy wins. I wouldn’t advise this as your only link building tactic because ultimately you want to get the links that your competitors can’t get as these will make the difference. But a few easy win quality links is always welcome and can give you some diversity. Since MozCon, I’ve had a few people ask me more about this tactic so I thought I’d write a blog post and go into a bit more detail. You can get an idea of the basics from this page too but I’ll go into some of them here and provide some SEO context. A custom search engine allows you to use Google search technology to search pages and domains that you specify. So rather than doing a standard search on Google.com and having to filter down to the level you want, you can define exactly what you want to search which can cut down the number of results to a more manageable and reasonable size. You specify the domains and pages you want to search by copying and pasting into your CSE – nice and simple by copying and pasting your list. 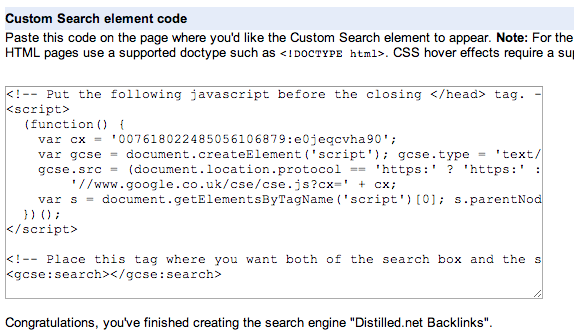 At this point you can tell Google whether you want to search an entire domain or just the pages. There are a number of uses but the one I talked about at MozCon was using a CSE to dig through your competitors backlinks to find easy win links. So let’s go through the process for this. 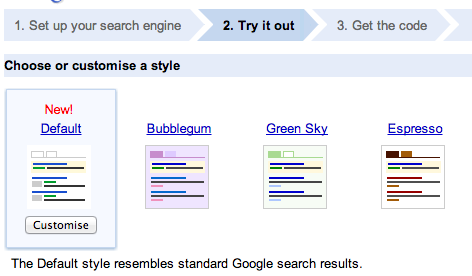 Tip – exclude links from your own domain so you have a cleaner of results. You’ll have to wait a few minutes for the CSV, then you can download it. Agree to the terms and conditions, then click next. You’ll get a feel for the results very quickly and see how good they are. Remember, depending on your competitors strategies, you may not find a certain type of link such as guest post if they haven’t done them. So try a few and see what you can find. If all is well, click on next. I tend to put this code up on a hidden page somewhere on one of my sites. So the URL is accessible to anyone that needs it but it can’t be crawled or found easily. That’s it! Once you’ve done it once, it will take you a few minutes to do again. 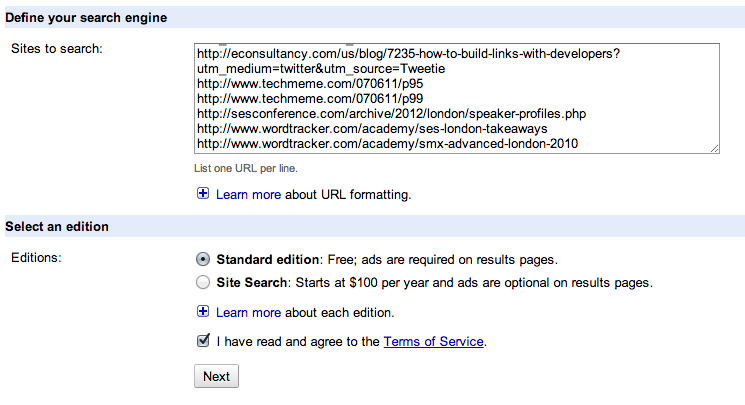 I’ve been using Google CSE for a while to keep my guest post opportunities in one place. Would love to hear how else you use it. Sorry, but I do not understand. Did I just build links to the links of my competition?. That benefit it gives me that? Thanks for the reply. The idea is that you can find potential link opportunities that you may also use to build links to your own website. You’ll want to have other link building campaigns as well, but this can be a good way of finding easy link targets from your competitors. Thanks for the step by step Paddy! I’ve used GCSE a few times now and it’s great for weeding out irrelevant sites found during your OSE backlink searches. Keep the times coming !